It's the start of a new week so it's time for another new release round-up. This week sees the return of SoulCalibur, the LEGO DC Super-Villains getting a turn in the spotlight and lift off for Ubisoft's new toys-to-life project. A new gameplay trailer has been released to refresh your memory, showcasing all of the new additions and improvements, new players, animations, and more coming to the soon-to-be-released NBA Playgrounds 2. Sony is bringing back the Totally Digital promotion to run through the rest of April and into May. All of the included titles will offer a pre-order discount for PlayStation Plus members. Saber Interactive has announced NBA Playgrounds 2, the sequel to the successful arcade-style basketball title NBA Playgrounds. Check out details on what's new in the game, including new modes, playgrounds, and plenty more. 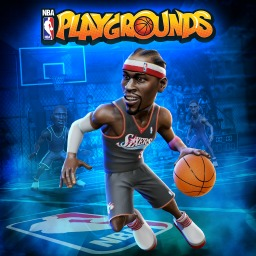 The first NBA Playgrounds game with trophies was NBA Playgrounds, which was developed by Saber Interactive, published by Mad Dog Games and released on 09 May 2017. 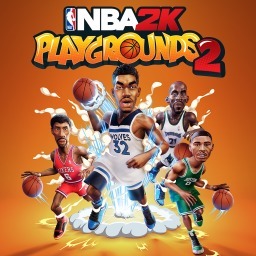 Since then there has been 1 more game in the series with trophies - NBA 2K Playgrounds 2 which was developed by Saber Interactive, published by 2K and released on 16 October 2018.